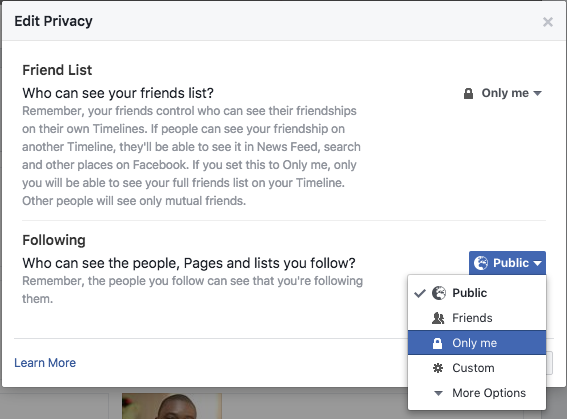 How can you hide the people and pages you follow on Facebook- As we all know, by default, Facebook keeps people, pages and list you follow on its platform public and visible to every other user but you now have the choice of hiding it from other Facebook friends. 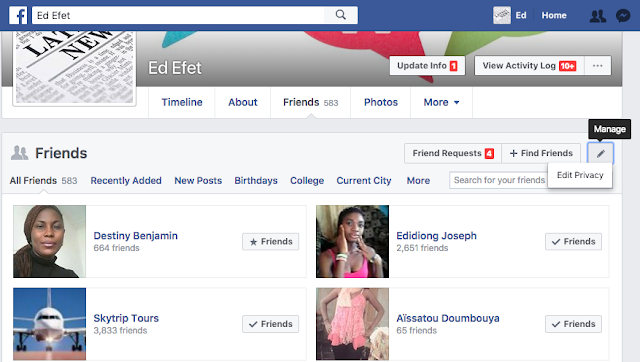 Check out how to hide the people and pages you follow on Facebook. Users now have full control on almost everything that appears on their profile for example: status, photos, albums and so on. Users also have the control of the audience of their contents for example: share with everyone, friends, friends of friends, groups and so on. Users can also manually hide a status from specific set of persons. If you do not want public visitors to your Facebook profile to see lists, pages and people you, then you just have to hide it from them. And seeing that someone is your mutual friend, your other friends usually accept the friend request. It’s kind of embarrassing when your female friend informs you that some mutual friend of yours has sent her a friend request. It’s good you keep people and pages you follow visible to only you and hidden from public eyes.